Google’s messaging service, Allo, will continue to work till March 2019. Users can back up their chats by exporting existing conversation history from the app if they like. Initially released back in 2016, Google’ messaging service Allo aimed to take on WhatsApp. Google has announced that it is now shutting down Allo. On its official blog, Google says, “Allo will continue to work through March 2019 and until then, you’ll be able to export all of your existing conversation history from the app.” This should not come as a surprise since Google officially paused investment in the chat app back in April 2018. 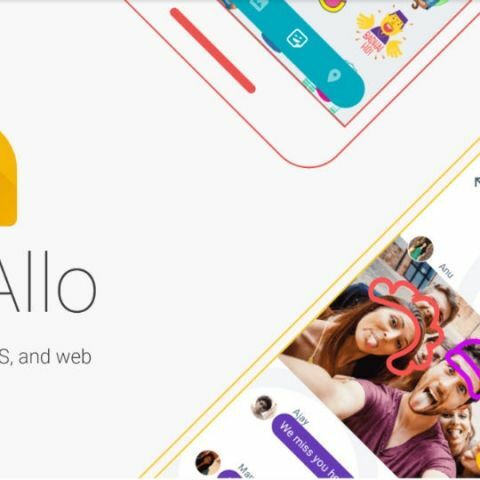 Back then, Head of Communications at Google, Anil Sabharwal, noted that “Allo as a whole has not achieved the level of traction we’d hoped for”. If you are one that wants to take a backup of your Allo chats before the service shuts down, then you can follow the steps below to do so. In the Allo app, go to menu, then head to settings. In settings tap on ‘Chat’. Then select the option that says, ‘Export messages from chats’. Remember, this only includes message text, not photos or videos. To export your media from the app you will have to follow the same steps and select ‘Export stored media from chats’. This will include photos, videos, and other files. Remember, messages will be in a CSV file format. And media attachments will be backed up in a zip file. You can access the files from the downloads section. Google’s other services such as Duo, Hangouts and Messaging will continue to work as they are. With the dominance that WhatsApp has had since its launch back in 2009, it is difficult for other apps to gain a lead. At the beginning of 2018, WhatsApp had 1.5 billion users and saw 60 billion messages sent per day. WhatsApp has continued to evolve with the times introducing features like voice and video calls, the ability to watch YouTube videos without leaving the app and more. The service did come under scrutiny for the spread of fake news and is working on fixing it. WhatsApp has now limited the number of forwards to 5 people only and when you forward a message or image, it is labelled as 'forwarded' to let the receiver know that this isn’t an original message. If you want to send a message to more than 5 people you will have to broadcast that message and the receiver will know that they are part of a broadcast. Which messaging app is too secured to use ?